My opinion in Forbes.Ru points out peculiarities of the reported investment cost of "Power of Siberia". Specifically, the estimated cost stayed intact when the pipeline length was cut by one third and the installed compressor capacity was reduced by 7 percent. In 2015, Gazprom informed its shareholders and investors that 1 km of the new export pipeline in East Siberia would cost ₽246 Million and 1 km of "Southern Corridor" over ₽270 Million (net of the cost of the "Russkaya" compressor station at the Black Sea). "Southern Corridor" is built in the plains of Southern Russia, along the ROW of existing pipelines and close to railways and roadways, while a good part of "Power of Siberia" runs in the middle of nowhere. It is several times more expensive to deliver a ton of steel pipe by rail from a mill in European Russia to East Siberia than to the ROW of "Southern Corridor". It is dozens of times more expensive to deliver the pipe from an East Siberian railway station to the ROW. Obviously, "Southern Corridor" is overpriced - 1 km of this pipeline is three times more expensive than 1 km of German OPAL (same diameter, higher capacity) commissioned in 2011. 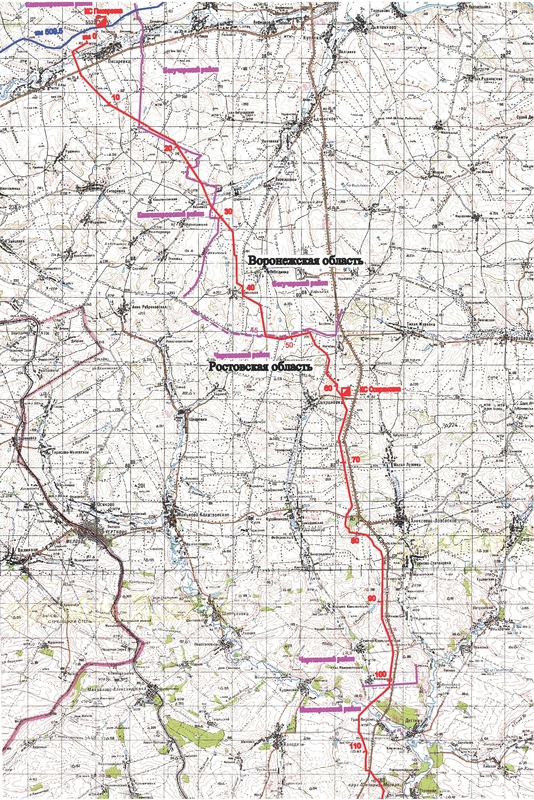 Note that now Gazprom plans to decommission (actually, dig out) 506 km of "Southern Corridor". The attitude to the reported investment cost of "Power of Siberia" indicates that Gazprom may not know and/or does not care about the actual expenses. After the reduction of the pipeline length, the unit cost can be calculated as ₽371 Million per km, but this is just another virtual number. Only the contractors of Gazprom know the real cost. If you have found this information useful, please consider making a donation.